Alternatively, use the Load Net entry in the marking menu on the workspace. Both options will bring up a standard Open file-dialog box, where you can select the file you wish to load. The loaded model will appear in the index as an entry with the name of the loaded file. Autosave files are backup files that are saved periodically. For more information about autosave files, please see the help page for how to Save a model. 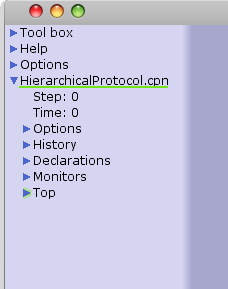 If an autosave file has not been removed, then this indicates that the tool crashed when there were unsaved changes in a net. 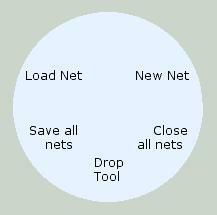 If an autosave file is found when opening a net, then a warning is given and you can decide to load the original net, load the autosave file, or cancel the load operation.